Complimentary valet or self parking at the hotel. Dart Station located under the Convention Center. 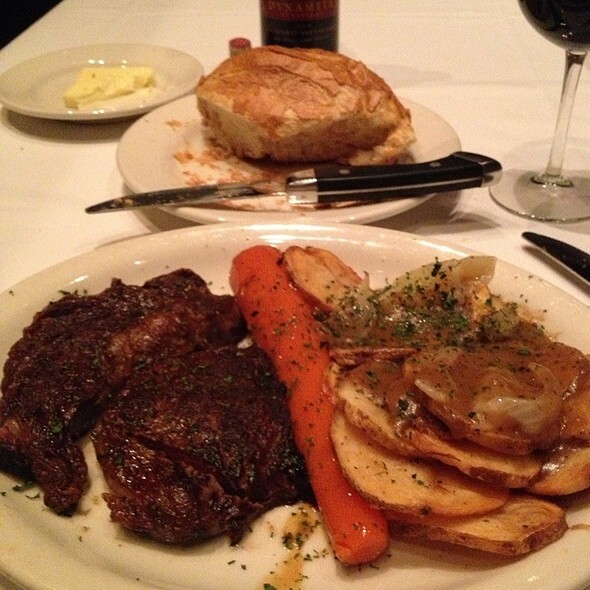 Come enjoy dinner at Bob's Steak and Chop House on Lamar located in the Omni Hotel. The hotel offer live music on the weekends in the hotel lobby next to the fireplace. Restaurant offers to go on all menu items. Absolute perfection! As it is every time we visit Bob’s. Simply the best! Bob's entire staff goes above and beyond every time we have dinner there. Food is exceptional, Drinks.......spectacular.....staff and service....outstanding. The restaurant was beautiful and the service was fantastic! I ordered the ribeye steak and it was so grisly I had a difficult time cutting it, let alone chewing it. There were a few good bites, but not many. I actually had to put a few bites in my napkin because I just couldn't chew them. Which is very disappointing for a Steakhouse! The rest was pretty good, although the sliced potatoes were very spicy. 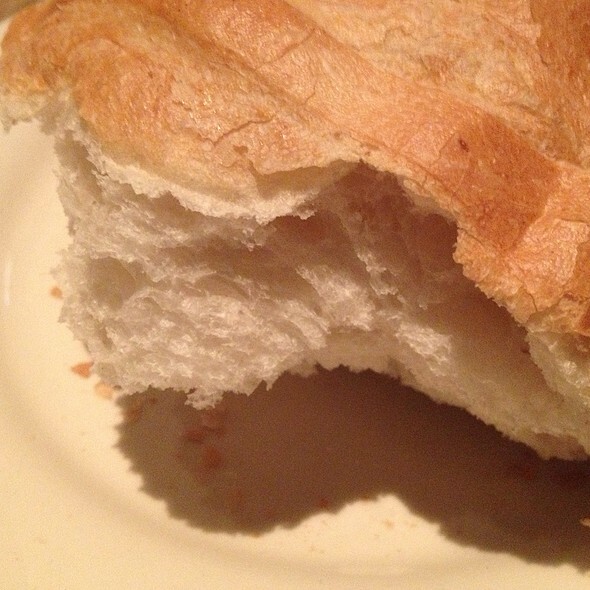 The bread was delicious as well as the calamari. What a well-operated and consistently great restaurant. We go to Bob's on special occasions and have never been disappointed. Even though it is 45 minute drive for us...it is worth it. Jennifer Bohner is the General Manager and pays attention to details. She is clearly a working manager and it shows. She works with each of the staff, as hard as they work. The food is delicious and the service is great. What else could you ask for. The people who stay at the Omni Hotel are really fortunate to have such a World-class restaurant in the ground floor of their hotel. We were expecting a top notch steak place based on recommendation but were a little disappointed in the quality and taste of the steak. Service was great and fast. Place itself was very nice. All in all good experience just not great. Everything was wonderful. I was celebrating my birthday and our waiter Luke went above and beyond to make sure I had a great evening. This has been one of the best dining experiences I've had in my life, and the service was excellent. I had the 32oz tomahawk ribeye, and it ranks up there as the best steak I've ever had. Very expensive but worth it on a splurge. I highly recommend this place! Thank you Brett for the nice review! 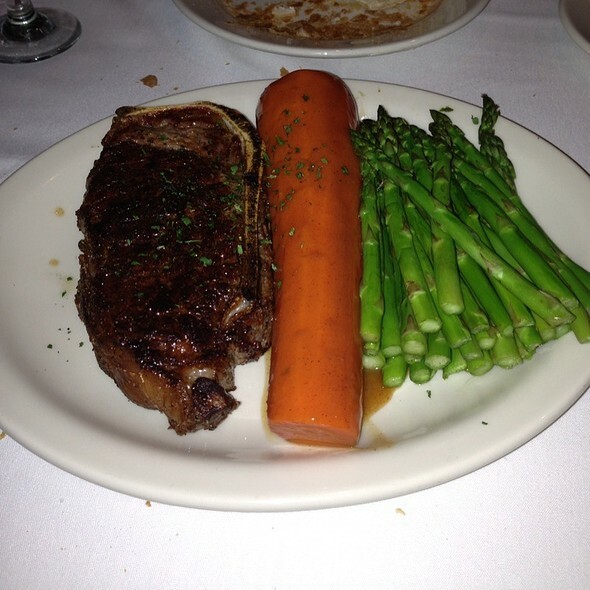 We look forward to you dining with us again. Party of seven - everyone was pleased with their meal. Steaks were cooked as ordered. Rack of Lamb was an excellent choice and the choice of sides with the meal create value. The glazed carrot not only adds color to the dish, but it is very tender and tasty. Desserts were tried and received great table reviews. Definitely a place I will return to when in Dallas Reunion area again. As usual, Bob’s and STAFF were impeccable. Food is spot-on. Highly recommend. The food was good, not amazing...and for the price, it should have been amazing. 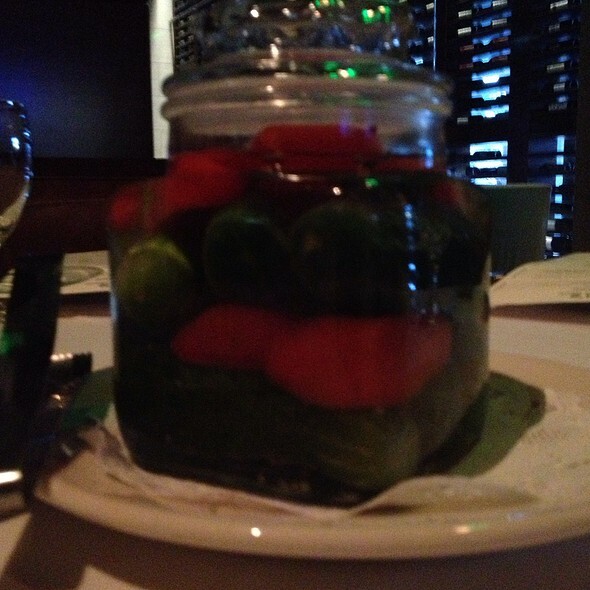 The jar of pickles and peppers in the middle of the table was unusual and interesting, but wasn't a great taste. The bread was so-so. The steak was very well prepared, as were the Brussels sprouts. The potato on my friend's plate was the size of a Nerf football. The cocktails were also quite good. Great prime beef. 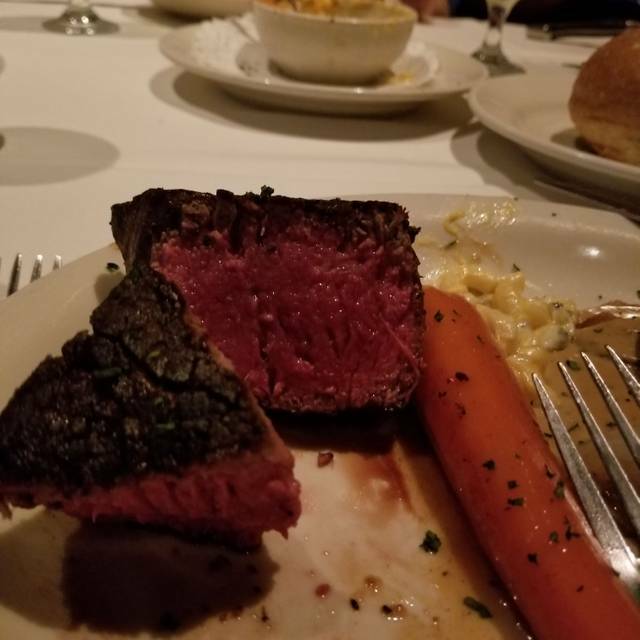 I had the 14oz Rib Eye perfectly cooked to medium rare. Also, the glazed carrot is the best carrot I've ever had (sorry, Mom). Everything was wonderful. I would definitely visit again. It was a wonderful experience from beginning to end. Our waitress was exceptional. The best steak of my life! Yummm! Dinner will cost you but it is well worth it. 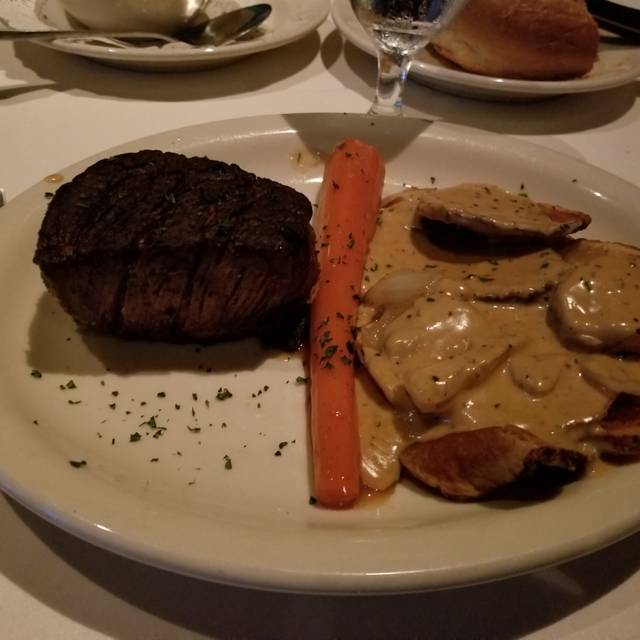 It was the best steak I’ve ever had. Service was excellent! Our server, Diyn, was awesome. The food, unfortunately, was not what we had hoped it would be. Don’t believe we will be coming back. This is a very nice restaurant, however, we were put in a room with a huge group of diners from a pharmaceutical company and we were a twosome. The noise level was outrageous! Everything was perfect. Thank you for the excellent food, service and atmosphere. We went and ate here for my boyfriends birthday and the food was excellent along with the service, they even customized our menus to say Happy Birthday which I thought was neat. If you was a good steak and a wonderful atmosphere this is the place to go! Great food and awesome service. Excellent steaks! Extensive wine and cocktail menu. Service was outstanding! I would recommend Bob's Steak attentive but never disruptive with our meal. The menu is more expensive but it is not al a carte like so many steak restaurants, so we felt we were getting a much better value. All around wonderful night! There were five of us at our table on Saturday night, and we all had a very pleasant experience at Bobs. 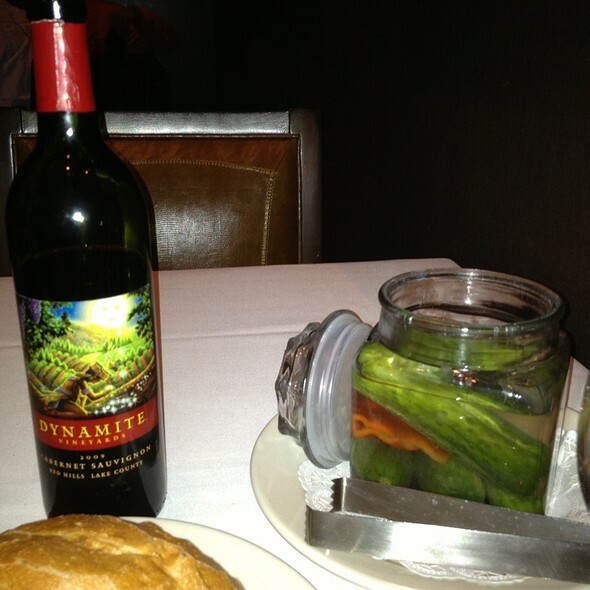 The atmosphere, the food and the wait staff was above our expectations. 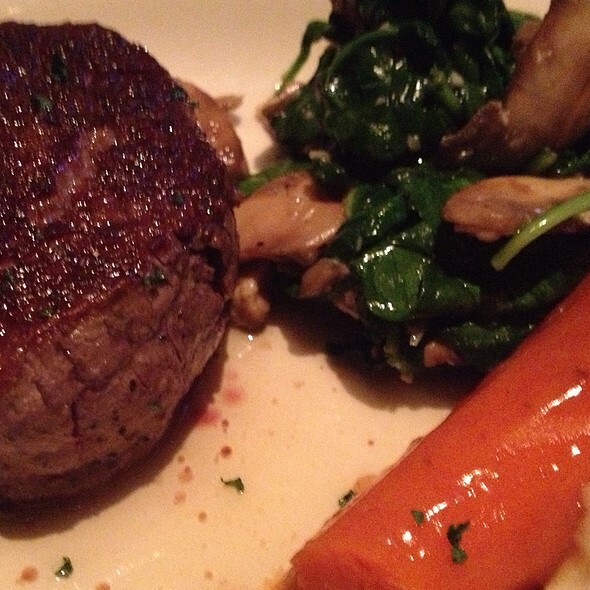 We highly recommend Bob's to anyone who enjoys really good food. Absolutely fabulous dining experience. Attentive and courteous wait staff. The fillet medallions and lobster tail was perfect. The best part....the lobster bisque soup.....stellar! Took our grandsons that love steak. They want to go once a week now. Rico was superb and attentive! If it wasn’t a company expensed meal I would be inclined to tip beyond the built in gratuity. Food exceeded expectations. Great food, great service in an outstanding location. We will be back! Wonderful food, wonderful service, and a pleasant atmosphere. My wife's Filet for some reason they butterflied it, this ruins a Filet in my opinion. So, they of course overcooked her steak .They ended up taking her meal off the bill. My Lobster Bisque was luke warm. 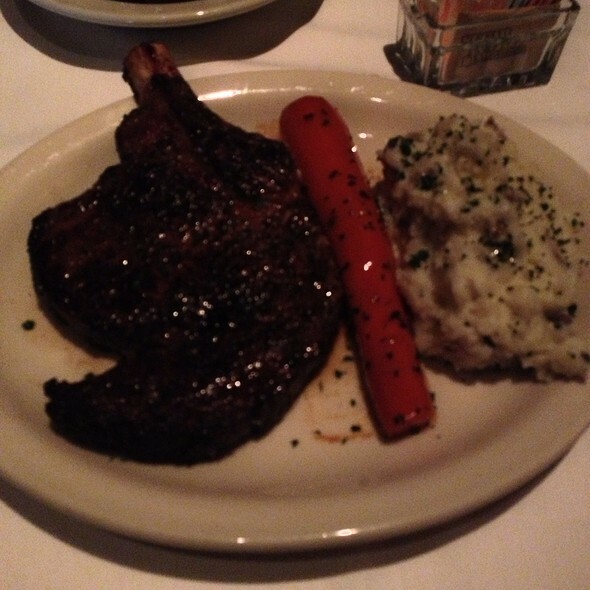 I had eaten at the Bob's at the Omni in Fort Worth approximately 3 weeks ago, and had a great experience. The food and service is amazing. This was my first visit and is definitely my last! I am very pleased! Waiter was excellent!! Food was delicious!! Great experience. We will be back!! We had a Great experience!! We actually dined there twice on the trip. We just walked in on Friday night without reservations. Both experiences were excellent. The service was great. Prices are high but the food was very good.